Structural Composites is one of the industry’s unsung heroes in construction methods and advanced materials. In the last year, its CoCure Advanced Marine Coatings has proved to be a way to replace conventional gelcoat with a flexible coating that combines advanced weathering and crack resistance with reduced environmental impact. On Navy combatant vessels, CoCure coatings have been combined with Prisma single-skin construction and a suspended deck design to mitigate wave shock loads on passengers. CoCure Metal Hybrid Composites merges composite and metal construction. The process makes metals more laminable, which permits new ways to blend metals and composites. The technology won the 2017 CAMX Award. 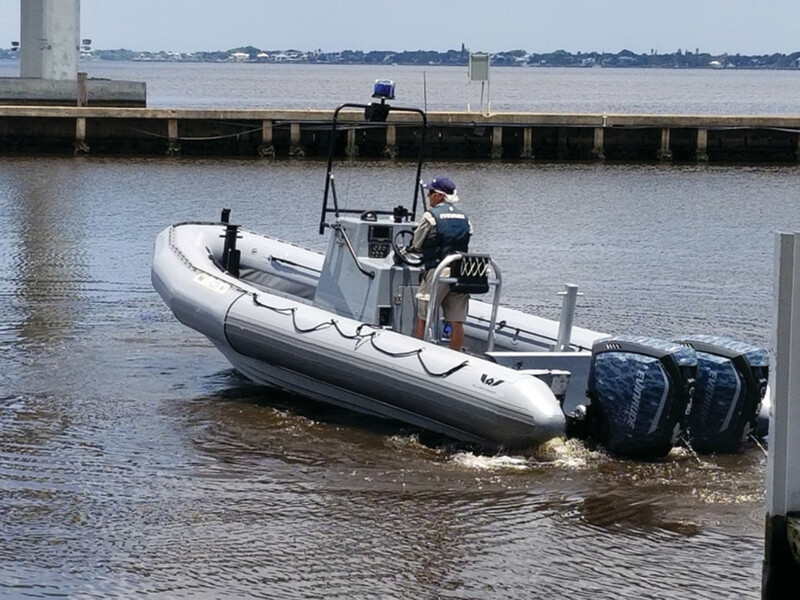 Our judges praised Structural Composites — unique among the entries in the awards — for its unswerving dedication to developing new technologies for boating. The processes used in the Naval boats, for instance, will work in our industry because they are innovative and low cost. Instead of heavy, expensive shock-mitigating seats, Structural Composites is also working on shock-mitigating boats designed to absorb wave energy. The single-skin construction process means no core is needed to reinforce the hull or deck. Low-profile Prisma composite preform framing reduces hull panel size, as well as laminate thickness and weight. Internal structural hull and deck designs look like the internal structures of aircraft wings. Advanced coatings flex with the hull and don’t crack. 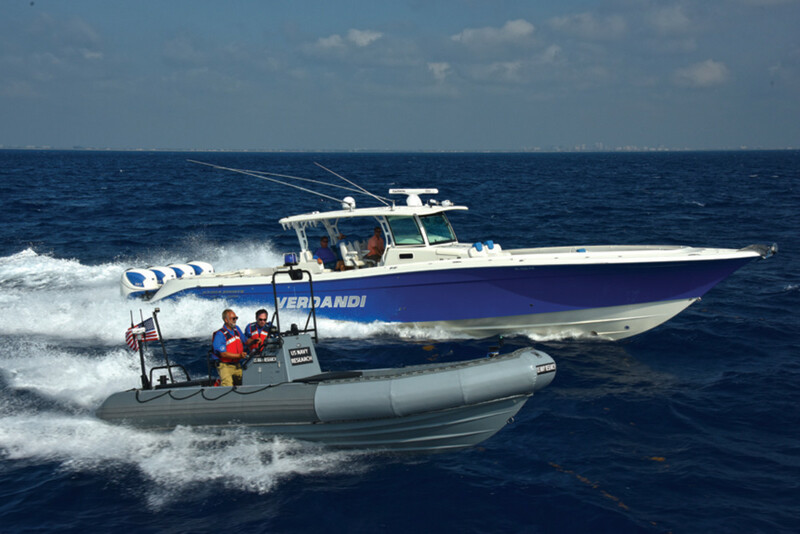 This fresh way of thinking translates into military vessels with more flexibility and longevity, which sooner than later some recreational builder will recognize as the ideal offshore boat.